• Every club receives an initial allocation of six tickets (currently it is two). • Each club with an aggregate total of 30 players or more at U13 and below correctly registered on GMS, will receive an additional two tickets. • All remaining tickets to be divided between voting clubs, based on the number of matches played by all teams (men and women, U14s to adult) of the club. • Every geographic CB receives an initial allocation of 20 tickets (as is currently the case). • All remaining tickets to be divided between geographic CBs, based on the number of matches played by their clubs. • Every society receives an initial allocation of six tickets. • All remaining tickets to be divided between referees societies, based on the number of matches the society appoints to. • The allocation of tickets for these three CBs and their member clubs will remain unchanged at this time. • Each of these CBs have a set number of tickets to allocate to their members. • The allocation of tickets for Schools and Colleges remains unchanged at this time. 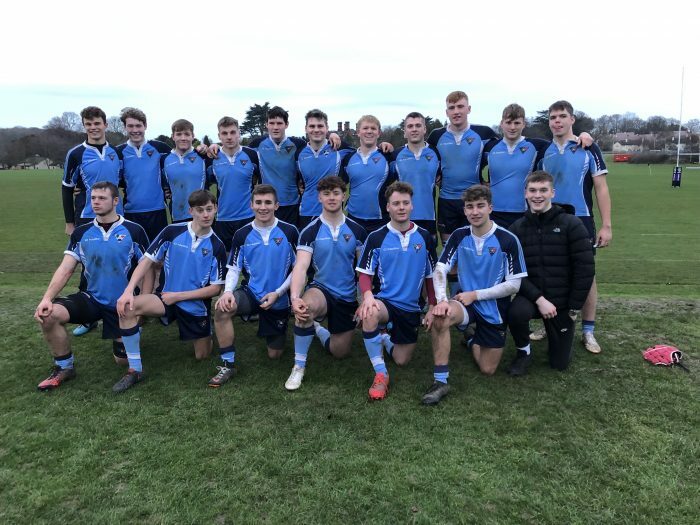 • Schools and Colleges will now be required to demonstrate proof of rugby activity and that tickets are used by an individual who contributes to the rugby activity in that school or college. In June 2019, we will provide RFU voting clubs, geographic CBs and referee societies with an indicative International ticket entitlement, based on the new process and data collected this season. This will provide an opportunity to compare with current allocations. For examples of how entitlements will be allocated to the game, together with further information on the endorsed changes to the method, please click here. The match will be preceded by a minute’s applause in memory of Chris Hart of Warwickshire, who sadly passed away over the Christmas period. This match represents the final opportunity for players to impress the Midlands Selectors before the provisional Midlands Squad is named for the initial development day on Sunday 27th January. While it is always a disappointment to the players not selected, the Coaching & Management Team were keen to emphasise strongly how every player has contributed significantly to the success of the Squad over the previous two games. The cohesion and sense of belonging created by the players with each other has provided a great framework for individuals to thrive within. Everyone involved has been greatly impressed by the way all the players have continued to show commitment, not only to the programme but, more importantly, to each other, which is testament to the character and quality within NLD. Every member of the Squad can return to their Club with something more to offer and, hopefully, they will continue to progress and challenge for inclusion in the U20s Squad in due course. For those players not included in the Squad who would like feedback on their performance, please contact Lee Slack who will co-ordinate the requests and pass them to the Coaches for actioning. We wish all those involved on Sunday all the best for their hopes of making the Midlands Squad and everyone in the Coaching & Management Team would like to pass on their sincere thanks to every player involved during this campaign. Following the deluge around the country on Saturday, it was a great relief to see the sun shining at Welbeck College and a firm pitch for the second Super Sunday matches. After their successful outing against Staffs. two weeks before, the Squad were excited about matching themselves against the Warwicks. team and they started the game in great style. Receiving the kick-off, the NLD side showed great composure and patience, moving the ball forward in phase play and finally crashing over the line to score after barely two minutes of play. The restart by Warwicks. was gathered and returned in much the same manner and the first twenty minutes of the game followed a very similar pattern. With NLD playing a controlled off-loading game, the Warwicks. side found it increasingly difficult to gain any momentum and any forward progress was met with strong and determined defending across the field. centration finally told, when the Warwicks. boys scored a well-deserved converted try right on half time. With the compulsory changes being made at half time, NLD looked significantly less cohesive during the early part of the second half. Although they remained in control, Warwicks. began to assert some dominance in the break down and ran in a couple of tries with the NLD defence is some disarray. Time to regroup. After a group huddle and strong words from the players to each other, the team began to re-establish the patterns and shapes from the first half and, again, concentrated on playing sensible rugby with close support and an off-loading game which one of the selectors noted was very hard to defend against. In the end, NLD ran out winners at 42-22 and a number of players once again impressed and will have to cross their fingers that their efforts are rewarded in the grading. From a purist’s point of view, the expansive but controlled running game played by NLD in the first quarter was outstanding and demonstrated that, with everyone involved, the whole squad was integral to the success enjoyed on the day. e astute enough to point out themselves the areas where they believe there is still room for improvement. Identifying those areas and working hard to correct the small inconsistencies has created a great environment for what Representative rugby is all about – player development. NLD now have a Christmas break and the final Super Sunday will take place at Loughborough University on the AGP facility with the team playing East Mids. in the final game at 15:00. Well done to everyone who has contributed so far – the togetherness of the Squad and their willingness to work for each other has been instrumental in providing a platform for individuals to shine upon. That just goes to show what real teamwork can produce! Best wishes to all players, parents, supporters and Coaches for a great Christmas and a successful New Year! The first Colts Festival of the season will take place at Kesteven RFC on Sunday 6th January 2019. All NLD U18 Colts teams are invited to participate. If your team wishes to attend, please aim to get in touch with the Youth Council by Sunday 23rd December 2018.